A Scandinavian company called Polygiene makes anti-stink treatment for synthetic fibers that it claims is environmentally friendly and effective. To test it out, last month I pitched a sweat-soaked, Polygine-treated shirt in my manky gym bag. If it isn’t effective, we would soon find out. Sweat doesn’t stink. It’s the odor-causing bacteria that does. 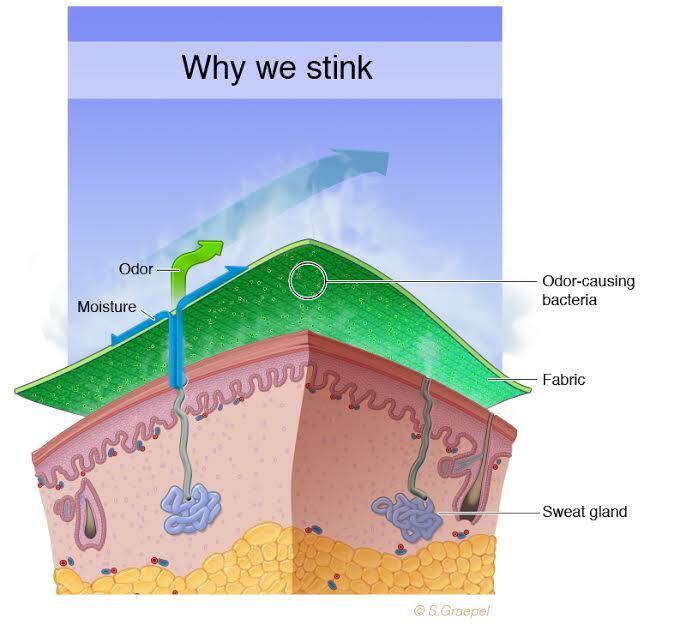 The microorganisms hole up between the fibers of our clothes while moisture is wicked away. Add oils and dirt, fabric softeners and detergents, and workout clothes become a house of funk where bacteria can “reek” their havoc. 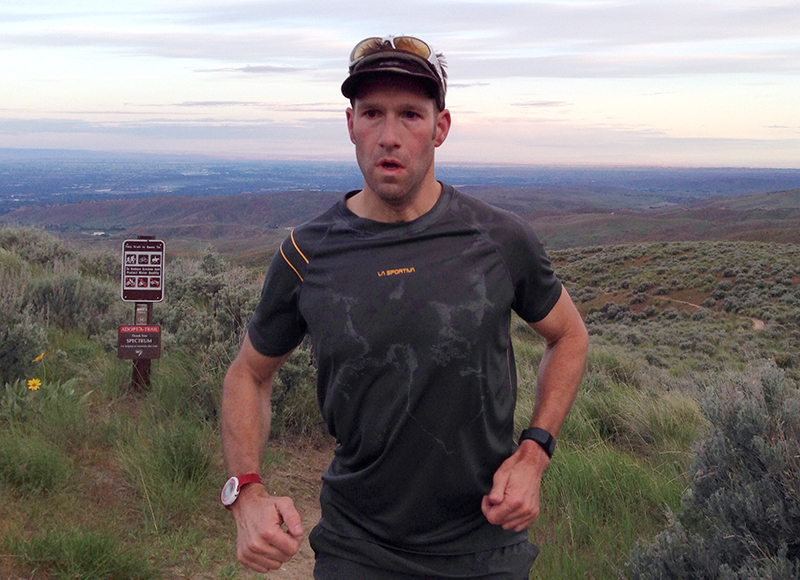 The outdoor industry has been trying to bench the stench for a while with many anti-microbial options on the market. Outdoor manufacturers know that to really prevent stink, you must stop bacteria from growing. Both wool and silver have natural antibacterial properties. But for some people allergic to wool or others who prefer the quick-drying properties of synthetics, silver, activated carbon and other treatments have become common. Unfortunately, silver can be environmentally caustic (through strip mining, leaching ore with low amounts of cyanide, and arsenic emissions). Environmentally conscientious companies are looking at new ways to harness the antimicrobial qualities of silver. Silver chloride is one answer. The naturally occurring salt recycled from electronic parts is used by Polygiene as an anti-stink treatment for synthetic fibers. It has slowly been making its way west into North American markets. 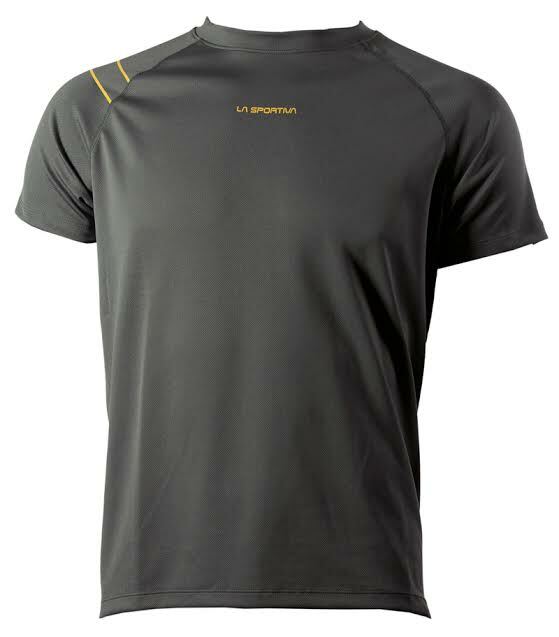 I’ve been wearing La Sportiva’s Polygiene treated Peak T-Shirt and, judging by my month-long gym bag test, it works. I wore the T-Shirt for 20 hours over two weeks without washing. I tested it on 3-hour runs, spinning, mountain biking, weight lifting, and then I stuffed the shirt in a gym bag next to my funky shoes. I appreciate my family for enduring the test, but thanks to Polygiene, they were none the wiser. I simply aired out the shirt, gave it a sniff test, shrugged my shoulders and threw it in the gym bag, repeat. The shirt never developed an odor. I was impressed. According to the company Polygiene silver salt is bonded to the fabric at the factory and won’t wash out for the life of the garment. Because of the anti-stink properties, you can wear Polygiene fabrics longer between washes — a good thing if you are days between a proper shower. A side benefit is that garments last longer and less energy and water are used for laundering. Polygiene is Bluesign-approved, which means it meets stringent requirements for textiles claiming to be environmentally friendly and sustainable. It also doesn’t interact with the body’s own natural bacteria, the brand states. And if the silver does somehow wash off, it naturally binds to sulfides, creating silver sulfide, an inert compound that’s environmentally safe. 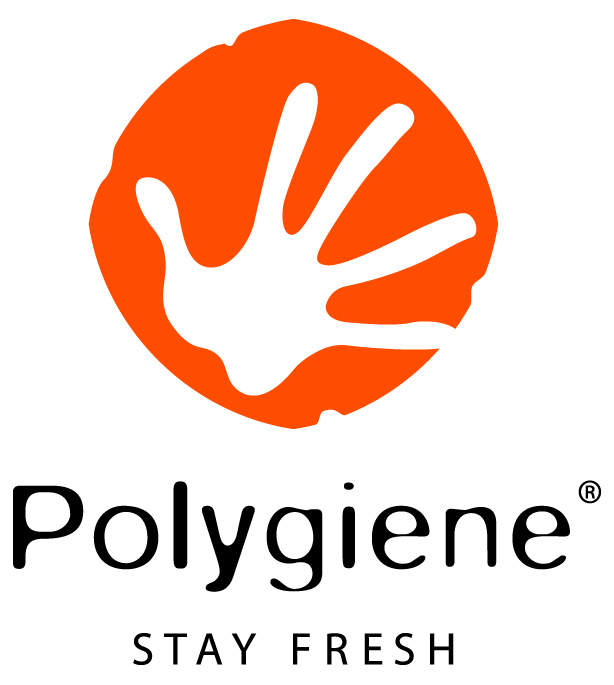 Polygiene odor control technology is available in clothing made by Outdoor Research, Arc’teryx, La Sportiva, and Patagonia. If wool isn’t your bag, or you are partial to synthetic but fed up with the stench, keep an eye out for the orange Polygiene logo.